Termite reticulation system refills will have to be done every 3 to 8 years. And this time frame will depend on the active chemical used in the system. The environment around a house is another factor that determines the time between refills. A termite reticulation system is a series of pipes around a structure. Once the system is installed it is filled with an appropriate Termiticide. The Termiticide that can be used will depend on the type of reticulation system that is installed. As your local pest control professionals in Brisbane, we will give advice on the best termite barrier for your property. There are many different types of termite barriers that can be installed to protect a home. They all are good if installed correctly and regularly monitored. Remember there is no silver bullet where termites are concerned. All termite barriers can be breached, regardless of what your termite company tells you. The termite reticulation system has been around for many years. A reticulation system is just one of many ways to help stop termites from causing damage. They can be installed for new homes and existing homes. Choosing the right termite barrier system for your home is important. Your termite expert should give all options available. And explained the benefits of each. There are a few different reticulation systems available they are Camilleri, TermX, Altis, Termguard and Reterm. Each system works in the same way but some can run longer pipes so that there is only one fill point. Each system is designed in a slightly different way depending on the manufacturer. Obviously, each manufacturer will say theirs is the best system. But it’s best to get the advice of the company installing it. All of the manufacturers will also recommend that regular termite inspections are carried out after installation is complete. Each system can also only be installed by a licensed person. Each termite technician will have to go on a training course. The course is specific to the system they use and then they become an accredited installer. A termite reticulation system cost will vary depending on two factors. 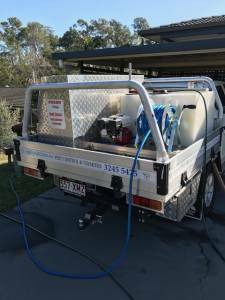 The first thing in working out a termite reticulation system cost. Will be the number of linear meters around the property. The size of the house that will be protected and the depth of the footings will determine the cost involved of the installation. The other factor that determines the cost of a reticulation system is the chemical that is used to fill it once it’s installed. There are many different Termicide on the market these days and they all vary in price. One of the most expensive as mentioned earlier is Termidor. Although Termidor is expensive it is extremely good at keeping termites out of a house. The ability of the system installed and the chemical used will be determined by the quality of the installation. As with all termite barrier systems. Their effectiveness really does come down to the person that has installed it. At Sunnystate Pest Control, we have seen some very poorly installed termite reticulation systems. If they are not installed properly they just won’t do the job they were intended for. A termite reticulation system cost will start at around $1000 and go up from there. Again the total cost will depend on the size of the house and what’s involved. A termite reticulation system refill is easy to complete and there is no real maintenance necessary. Depending on the type of chemical in the system. They can also be relatively cheap to refill. A Termiticide such as Termidor is expensive and this will push up the cost of refilling. After a system has been installed there is no more digging required during the refill intervals. 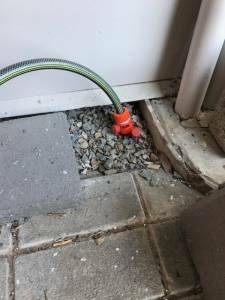 Once a termite reticulation system has been fully installed. There is no real way of checking it years down the track. When a refill is carried out there can be no guarantee that the chemical is where it’s meant to be. There could be a blockage in the pipework or maybe a prior homeowner damaged it whilst gardening. There is just no real way of knowing, whether the system is working properly after it’s been installed. One other problem with a termite reticulation system. Is that no other termite company can give a warranty when refilling the system. No termite professional can give a full warranty on a system they didn’t install. The only guarantee that can be applied is that the chemical used is the correct one for the system and that it’s been applied at the right pressures. Each system will have a certain pressure requirement that the chemical has to be applied at. If the pressures are over-done there is a chance that the system will rupture somewhere. If the system ruptures the chemical will not get through to all of the pipes leaving areas exposed to termites. It is very important that the company refilling a reticulation system knows the make and the pressures before a refill is carried out. This is why a full termite inspection of the property has to be completed before a refill can take place. A form has to be signed by the homeowner giving the authorisation to refill another companies system. The form clearly states that NO GUARANTEE can be given on the system itself, ONLY the chemical being reapplied and the pressure it’s applied at. This is a very grey area that not many termite companies will fully disclose to their customers. When a company that initially installed the barrier system goes broke or closes down. A new termite barrier system will have to be installed for a FULL warranty to commence with a new pest control company. The most proactive steps any homeowner can take will be to have a 12-month termite inspection carried out. Where a full termite barrier is not installed it is recommended to have a 6-month termite inspection done. When a property is in a high-risk area for termite activity it’s recommended to have 3-month termite inspections carried out. 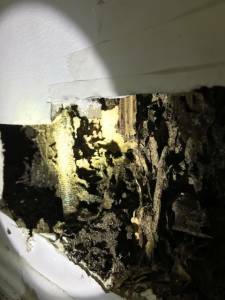 The time between inspections will depend greatly on whether a full termite barrier has been installed or not. Well by now you should be a bit better informed about termite reticulation systems. And also the pros and cons of them. These systems are not for everyone. And as mentioned at the start of this blog there is no silver bullet for termites. No matter which termite barrier gets installed around a home. It will always need regular inspections. Don’t be fooled into thinking your place is safe just because it’s now protected by a barrier system. 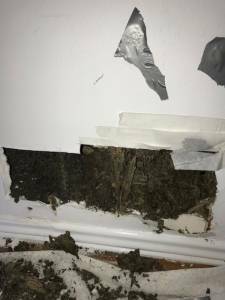 To get an accurate quote on the installation of a termite barrier. You will first have to have a termite inspection carried out. During the inspection, the termite technician will be able to work out a total cost. The quote is then emailed to the customer along with the termite inspection report. Always read the report and the quote thoroughly if there is anything you don’t understand call the company and ask. Don’t leave it until it’s too late. Get a termite barrier system installed around your home. Termites cause damage to 1in 4 homes in Australia don’t let it be yours. Updated 27/09/2018 By Jason Neale.